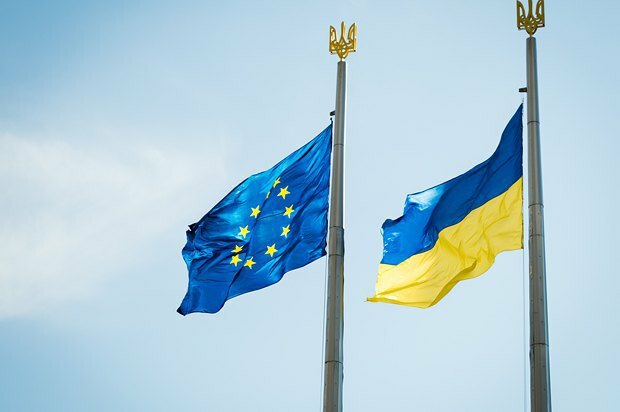 The experts interviewed by Gorshenin Institute have shared cautious optimism about the EU granting a visa-free status to Ukraine in the near future. However, they said it was too early for Ukrainian diplomats and civil society to be complacent. In particular, a Ukrainian diplomat and board chairman of Maydan of Foreign Affairs NGO, Bohdan Yaremenko, argues that for Ukrainians to be able to travel to Schengen states without visas, only two prerequisites should be put in place: the procedure requiring the decision of the European Parliament and the European Council should be completed, and the EU should agree the procedure of visa waiver suspension. "To date, there is no reliable information on any obstacles to the completion of the procedure and the adoption of a decision on the introduction of a visa-free regime for Ukraine. All available information shows that both the European Parliament and the European Council may adopt this decision within the next few months or even weeks. As far as the temporary suspension of visa-free travel is concerned, the main problem is the failure of the main EU institutions to reach internal agreement on who will be in charge of taking the decision (to waive visa-free status – ed. note)." However, the diplomat added, the EU has no deadline for this issue, which brings uncertainty as to the possible timing of a decision on Ukraine. Foreign policy expert Taras Kachka is also convinced that all political issues pertaining to visa-free travel for Ukrainians have been settled by now. "There is no politics: either big or small. Some institutional decisions are yet to be approved. There is work under way, if we compare it with Ukrainian practices, we are in a situation similar to being in-between the first and second readings of the bill in parliament. Yes, hyper optimistic expectations are being quashed, but there is no pessimism regarding the adoption of this decision either," he said. 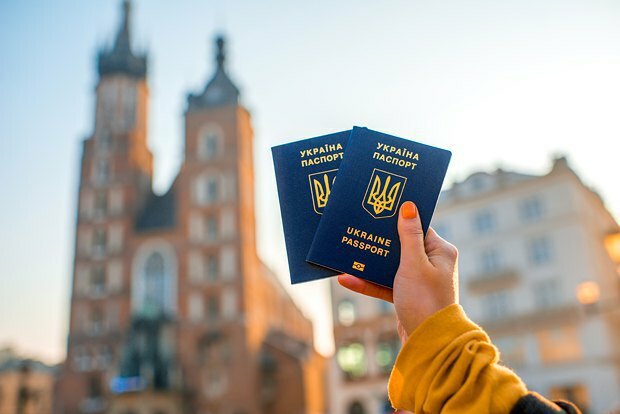 The director of the World Policy Institute think-tank, Alyona Getmanchuk, also described the incomplete development of the visa waiver suspension mechanism as the key obstacle to visa-free travel for Ukrainians. At the same time, she pointed out that Europeans were concerned about migration risks, the subject she expects to be used for speculations in European states' domestic politics: "We are talking about the upcoming elections in France and Germany. There are some political forces which are reluctant to make such a gift to Ukraine before the elections, despite the fact that the country does not pose any serious migration risk. The very idea that in the heat of the migration crisis, the EU may offer a visa-free regime to yet another country can be used in election campaigns in Germany and France, and this obviously affects the decision-making process," she said. The executive director of Europe Without Barriers NGO, Iryna Sushko, is of a similar opinion. "The issue of visa-free travel for Ukraine is being considered in an unprecedentedly unfavourable period of time, which is associated with the migration crisis in the EU, which requires both effective governance and proper communication. For example, EU citizens are not substantially aware that a visa-free regime only gives the right to short-term travel while border control remains as rigid as it is now. For example, in 2015, Ukrainian citizens, even though they had visas, were denied entry to EU member states on 25,283 occasions." The EU itself indeed lacks political will to introduce a visa-free regime, the expert said. "But they have not officially said this. Therefore, diplomatic efforts should be stepped up," Sushko stressed. Taras Kachka, for his part, is convinced that although such a discourse is really gaining momentum in the EU, it should not take its toll on the tactical decision on Ukraine. "Even if there is such a discussion, it does not concern our country. This issue is global, it concerns the whole of the EU and the entire world. That is not a question of either Ukraine or Georgia or Moldova or Turkey, this question can be perfectly horizontal: is the EU closing down or not? This discussion is so global and so stretched in time that it is unlikely to affect a tactical decision on Ukraine," the expert said. The experts pointed out that although Ukraine has delivered on all its commitments under the visa liberalization action plan, and a decision entirely depends only on European institutions, it is too early for Ukrainian diplomats and the public to be complacent. "I hope that active diplomacy on the part of Ukraine as well as of our partners in the EU will do its utmost to ensure that this decision gets taken. Because the longer it takes, the more difficult it will be to have it passed," Alyona Getmanchuk says. It is up to Ukrainians to make sure that reforms, which have already been implemented within the framework of visa liberalization, do not roll back and that anti-corruption efforts do not get stalled, the expert emphasizes. "It (the rollback of reforms - ed. note) can be easily used by our adversaries in the EU not to waive visas for us. Some political actors in certain EU member states are eagerly looking for an answer to the question: 'Why should we say no to a visa-free regime for Ukraine?'. Any pullback or regress can be used against us," the director of the Institute of World Politics said. Iryna Sushko, for her part, noted that the civil society in Ukraine understands and even supports the development of a mechanism to monitor reforms being carried out in the framework of the visa liberalization action plan. "At the same time, they should also put the pressure and remind the EU of its obligations, but also to prepare reports on the progress of Ukraine within the framework of the visa liberalization action plan for the European audience." "It would be enough for Ukraine today to avoid stupid mistakes and controversial decisions by both parliament and the government, which can be interpreted by the EU as disregard for the commitments on reforms and fight against corruption. In the meantime, Ukraine has formally fulfilled all its obligations as far as the introduction of visa-free regulations is concerned, and there should be no new requirements to our country," Bohdan Yaremenko concluded. "Considering all the delays, we may rightfully expect a visa-free regime in the next six months," Taras Kachka predicted.